Bonnot Catalyst Extruders and production systems are custom engineered to provide continuous catalyst production in the configuration you require, whether it be minute pellets as small as 1/32” diameter, solid rods, hollow rods, supported or unsupported rings…virtually whatever your specification requires. 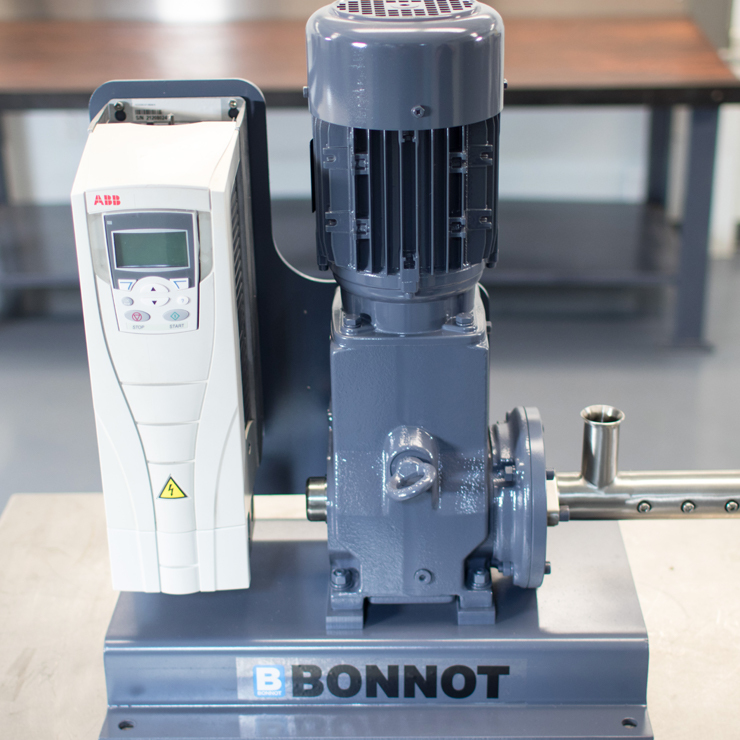 Each Bonnot Catalyst Extruder is engineered to meet and exceed peak load specifications and sustain operational requirements. The simplicity of the Bonnot proprietary designs, modular construction and the use of extra heavy duty components made of special abrasion and corrosion resistant alloys or stainless steel, significantly reduces wear and minimizes service and maintenance downtime. The result is reliable production scheduling and a uniform product. How Bonnot custom machinery provides continuous catalyst production without loss of quality, stability or character…. Bonnot Catalyst Extruders and Feeders, both with automated controls, work in tandem to ensure continuous pelletizing in varied configurations as small as 1/32” diameter. The batch may go directly from the mixer to feeder where consistency is maintained by continuous screw rotation. Handles all types of catalytic materials including high aluminas, kaolin carriers, gels, and molecular sieves. The auger and barrel can be water cooled. Configuration and size of pellets are controlled by die change. Bonnot catalyst feeders include two continuous or variable speed rotating screws move material to vertical feed. Automatic level control prevents back up and bridging. Amazingly simple yet unerringly precise. The 1” Catalyst Extruder provides precise control and data collection capabilities for small batch, bench top testing, and formulation work. Various auger and barrel designs are available; along with virtually any die plate configuration. The 2.25″ Catalyst Extruder approximate capacity is one pound per minute (material dependent). Requires a minimum of three pounds of sample for a test run. Capable of processing around 100 – 150 pounds per hour (depending on specific material). Ideal for table mount in the lab or a mini-pilot production. Various auger and barrel designs are available; along with virtually any die plate configuration. In addition to our time-tested standard catalyst extruder machinery, we offer customization services that help you create a machine to meet your needs without sacrificing any of the particulars. For over 125 years, our talented design and engineering teams have demonstrated that Bonnot is the best.